Rockstone is a research house specialized in the analysis and valuation of capital markets and publicly listed companies. The focus is set on exploration, development, and production of resource deposits. Through the publication of general geological basic knowledge, the individual research reports receive a background in order for the reader to be inspired to conduct further due diligence. All research from our house is being made accessible to private and institutional investors free of charge, whereas it is always to be construed as non-binding educational research and is addressed solely to a readership that is knowledgeable about the risks, experienced with stock markets, and acting on one´s own responsibility. The vision of Rockstone is to provide a contribution to the continuing education of private, professional and institutional stock market investors with focus on exploration and mining. 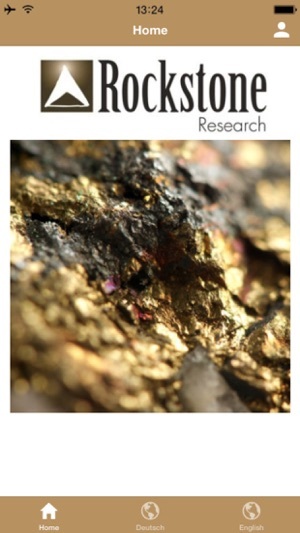 Especially in the stock market segment resource stocks, the knowledge of all market participants is not even approximately the same, since not only the published company reports typically require at least a substantiated basis to expert knowledge about geology, exploration, geophysics, geochemistry and engineering to appraise correctly by trend the future of a exploration and/or mining project. Additionally, the trained part of professional market participants are typically specialized on micro- and macro-economic analysis as per their degrees in business administration and economics. Wir haben die App unter der Motorhaube aktualisiert und stabilisiert. Diese läuft jetzt auf dem technologisch neusten Stand. Zusätzlich haben wir unsere App für das iPhone X optimiert.